Straight Shooter Firearms Training provides safe and effective handgun instruction, including classroom-based courses, live-fire exercises and private coaching. John Zimmerer has over 30 years of experience with firearms. 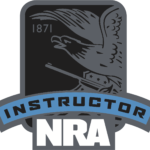 He holds training credentials from the National Rifle Association, is a Maryland Qualified Handgun Instructor, an affiliate of the USCCA, and a certified Range Safety Officer. Check out our courses, or sign up for one-on-one coaching!